In any great café there is usually a great cake display fridge. No matter what brand you have, Allen Air and Refrigeration have the experience and skills to work on all models. Popular brands are Bromic, F.E.D. Williams, Festive, Skope, Fralu, ICS Pacific, but there are many more Cake fridge brands that we service and maintain. Available in an array of sizes and designs, the choices are many. Choices exist from 3 or 4-tiered adjustable shelving units and even rotating shelves that display cakes on a carousel. Sizes vary greatly also and can be purchased anywhere between 900mm through to 2400mm wide. Sizes are generally available in increments of 300mm, so there will always be a cake display that will fit into your café. 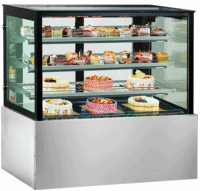 The Cake displays can have either curved glass of flat glass. Whilst the curved glass displays the cakes the best, the top of the cabinet doesn’t really allow as much additional product like napkins or table numbers to be stored. For this reason, we find some people like the flat-topped glass cake display cabinets. Glass options also vary between products. 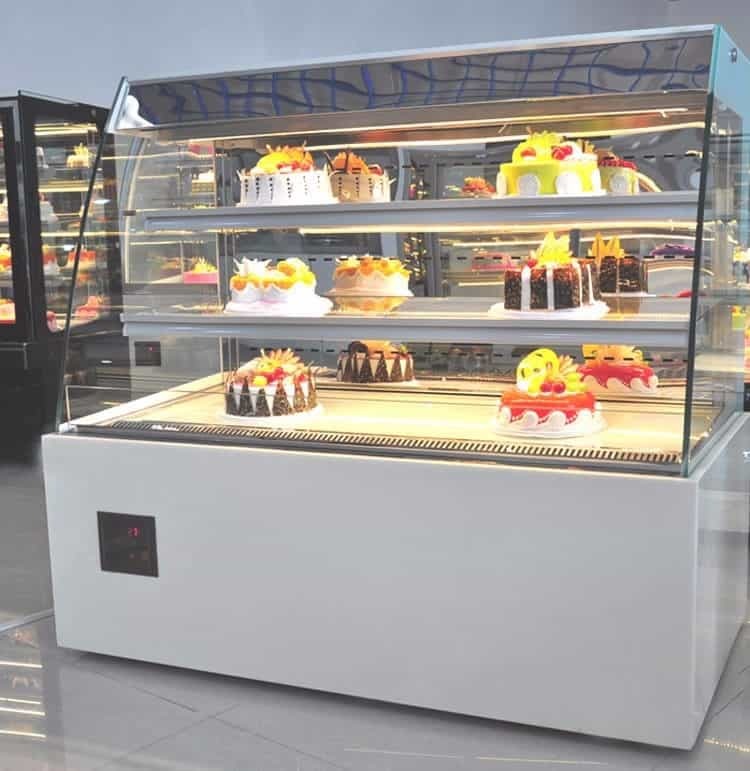 The best Cake Displays will have heated glass in either double of triple glazed variants which is an important factor to consider. Especially if your café is open to the street or has evaporative air conditioning. If you buy the wrong product you could risk having the glass sweat which will impact cake sales. Modern designs are easy to clean and will have LED lighting. From a service perspective, the older models that had flouro tube assemblies were always being knocked and damaged. So, LED lighting is definitely a more robust option to look for. Believe it or not, the biggest problem causing service issues on a cake fridge is the cake itself! Yes, that sounds funny, but it is the crumbs that fall down under the shelves and trays that causes the drain to block. We then see mould and other yucky stuff causing the condensate to back up and occasionally start coil freeze ups or evaporator fan failures. We recommend weekly removal of the bottom trays so that the inside of the unit can be cleaned out. Always turn off the fridge first of course, as there can be fans spinning around as well as electrical connections that could pose a risk of electrocution. Some of our clients have us attend for regular maintenance, and we can manage this cleaning if need be. 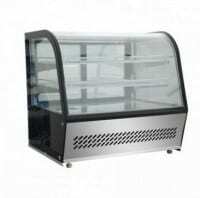 Perhaps the next biggest issue for Cake display fridges is dirty condensers. It is great that some of our clients try and brush the dust off as part of their maintenance regime. For the most part it is helping. But what we find is that this well intended brushing is actually pushing dirt into the coil, which eventually gets very blocked. All it takes is to shine a torch through from the other side. If you can’t see much light, the air won’t be going through. 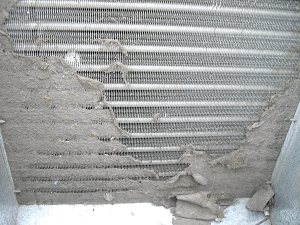 Unless the condenser is thoroughly cleaned by a technician with the use of chemical cleaner or compressed air you are at risk of losing a compressor and having your cake fridge off line for a few days can seriously affect sales. Call us now and arrange a service to your Cake Fridge.